Post Tagged with: "villa group timeshare membership"
Where Can I Visit With The Villa Group? Cabo San Lucas is a haven for nature lovers due to the raw, desert landscape that serves as a stunning backdrop for its turquoise colored waters. Tall mountains surround Cabo San Lucas that can be seen when you are visiting one of Cabo’s most popular natural sites, El Arco Rock Formation. In addition, if you have a golf aficionado in the family, there are numerous world-class golf courses ready to please even the most discerning golfer. It is well known that celebrities and frequently visit Cabo San Lucas, so be on the lookout as you mingle with the rich and famous. Everyone will enjoy Cabo San Lucas’ lively nightlife, delicious Mexican and international cuisines, as well as adventure activities and their stunning beaches. There is never a shortage of things to do in Cabo San Lucas! A longtime tourist destination in Mexico, Cancun has some of the most beautiful beaches in all of Mexico and even the world. There are lots of activities to be enjoyed during your vacation. In addition to enjoying the stunning blue-green waters and white sand beaches, you can have a taste of Mayan history by exploring the ancient ruins of Uxmal, Tulum and Chichen Itza. Take a step back in time and get close and personal with the preserved ruins that will make their mark and leave a lasting impression. Lastly, there is an abundance of dining and shopping options as well as spas for relaxation. You have everything you need and more when you visit The Villa Group in Cancun. One of the lesser known tourist destinations in Mexico, the Villa Group timeshare at the Islands of Loreto is ideal if you want a relaxing, peaceful vacation. Sea adventures are one of the top activities offered on the Islands of Loreto. Get up close to marine life and fish, colorful corals and reefs as you lazily float in the Sea of Cortez. Underwater marine life in Loreo is quite a magnificent sight to behold. Ready for something to eat? Make sure to enjoy a delicious and fresh seafood dinner cooked the Mexican way. Want to try something different? Ask for chocolate clams or peppered crabs which will be a unique way to satisfy your palate. Puerto Vallarta is unique with its charming cobblestone streets and small-town feel which makes it an ideal Villa Group timeshare destination. The lush, green mountains that come right up to the ocean are hard to beat. Enjoy a swim or sunbathe in Banderas Bay, or if you want adventure take an eco-tour so you can get out and explore the many other features Puerto Vallarta is famous for. The great food is another top reason why visitors fall in love with Puerto Vallarta and keep coming back for more. There are a plethora of dining options with everything from elegant high-end dining to taco street stands with fresh homemade tortillas. Are you an art lover? If you visit downtown, make sure to head inland a few blocks from the Malecon and you will find a world of art galleries in addition to numerous novelty shops, bars, and stores. Just a short drive north of Puerto Vallarta, Riviera Nayarit is ideal for those wanting a more relaxed vacation. The beaches in Riviera Nayarit are wide, white and with soft sand so it is an ideal spot for swimming or simply enjoying the beautiful ocean views. Many all inclusive hotels include the Villa Group’s Villa La Estancia and Villa del Palmar Flamingos are located here. Sit back and relax in your luxury suite and enjoy the quiet beauty of the magnificent Pacific Ocean. Though a bit low profile compared to the hustle and bustle of Puerto Vallarta, Riviera Nayarit still has many activities to make your vacation memorable. Why not try surfing or snorkeling, or keep your feet on dry land and take a romantic, sunset sailing cruise. Want a little more fun? Check out one of the party cruises where you can dance and drink the night away! Where ever you decide to visit with The Villa Group, you are guaranteed a comfortable, luxurious resort with great amenities and courteous staff. Now it’s up to you to start planning your next vacation…where do you want to go first? Recommended article: Scam! Beware the Villa Group Timeshare Company? When Should you Avoid the Villa Group Timeshare? Have you ever been warned about the Villa Group as a timeshare provider? Have you been told that they are a scam, or that you should be wary of their ethics? If so, where did you find this information? Were you told by a friend or family member, or did you read it somewhere online? Perhaps you have been talking to a timeshare cancellation scammer? In either case we can certainly understand you being wary; if you want to know more about the Villa Group timeshare, read on! Should you avoid the Villa Group timeshare? First and foremost, we should clear this up; you do not need to avoid the Villa Group because they are not a scam! Villa Group are a reputable and long-lived business with around 30 years of experience in hospitality and tourism. If you would love to spend your vacations in Mexico then the Villa Group would be a good fit for you! If you are attracted to timeshare, even more so! When you own a Villa Group timeshare what you actually have is a comprehensive vacation club membership with a long-standing and respected institution. The Villa Group offers points based memberships; this is a far cry from the traditional, fixed-week membership, and indeed offers much more freedom and flexibility to the consumer. The official name for the Villa Group’s most flexible membership is Villa Preferred Access, and the points purchased can be used in many different ways; they can even be saved or borrowed. Where can you visit with a Villa Group timeshare membership? When you have a Villa Group timeshare membership you gain access to many different locations across Mexico including Cabo san Lucas, Cancun, the Islands of Loreto, Riviera Nayarit and Puerto Vallarta. If you take advantage of Interval International’s services, you can also exchange weeks for countries around the world. Who claims you should avoid the Villa Group timeshare? If you look online for reviews about the Villa Group timeshare, you will find some claims that you should avoid the Villa Group timeshare amongst a majority of positive reviews. However, if you look carefully at these detrimental reviews, you usually find that the comment is coming from a shill (fake profile pretending to be a real person) working for a timeshare cancellation company seeking to discredit even the most reputable timeshare companies. You should be very wary of sites which claim to offer cancellation services. Ask yourself if the hosts of the site would have anything to gain by hosting or creating mainly negative reviews. Who claims you should join the Villa Group? Well, the Villa Group’s sales agents are obviously the first to encourage you that the Villa Group is a top timeshare opportunity. If you check the Villa Group’s official websites, you are sure to find customer reviews and testimonials, likewise sites like Kayak and TripAdvisor will give you an idea of the merits of the company and the specific locations too. How to avoid a timeshare scam? There are scams targeted at almost every stage of the timeshare process, and we can help you to side-step and/or mitigate the danger of falling afoul of a scammer. First and foremost you need to make sure that when you buy a timeshare you buy direct from the timeshare provider in their sales room; if you want to avoid resale scams and fraudulent providers you should deal with your provider directly. Likewise, when selling your own membership never pay a “finders fee” or “introduction fee”. Timeshare cancellation scams, however, are the easiest scams to spot; if you are no longer within the rescission period, these individuals cannot help you, and if you are then their help is not needed. If you are to avoid a cancellation scam all you need to do is refuse to deal with people who offer such services. So – what do you think, do you need to avoid the Villa Group? When you are a Villa Group Timeshare member you will get the opportunity to stay in condominium style accommodations at the top resorts in Mexico. According to many of the reviews you can find online, the resorts provide members with a large variety of amenities too. The top resorts are located in Cancun, Riviera Nayarit, Cabo San Lucas, and Puerto Vallarta, and the Islands of Loreto in Mexico and you can also have the opportunity to stay in the top resorts worldwide with the assistance of Interval International. Being a Villa Group Timeshare member allows you to experience floor plans that are very spacious and the amenities are better than at home, especially if you were to compare the rooms at the Villa Group timeshare resorts to standard hotel rooms. The accommodations are located in prime floors at various top-rated resorts. Being a member also provides you and your children with an array of activities, Jacuzzis, world-class spa, tennis courts, the best exercise facilities, and a lot more. Villa Group takes pride in offering a membership where you are treated like one of the family. You will not only arrive to a wonderful suite at a top resort in Mexico at the best beach locations, but you will also feel like you are part of an exclusive family, where staff members will know your name and your needs will be met according to as your membership grows. When you invest in a vacation membership with the Villa Group you will be living a millionaire’s lifestyle. You should know that it isn’t always about how much money you make each year, but how wisely the money is spent along with it doesn’t matter how much something costs, but are you getting your money’s worth? When you become a Villa Group Timeshare owner you will be guaranteed quality for your lifetime, and so will your closest friends and family members who enjoy traveling with you on this road called life. If you are only now considering the benefits of timeshare ownership then you will , naturally, want to do some research before committing to anything or any place. No doubt, however, you’ll know what a gem Mexico is when it comes to cheap, high quality vacations for those from the USA and Canada. VIlla Group’s timeshare at Villa del Palmar represents some of the most luxurious and exclusive timeshare resorts in the country. This timeshare group know what customers want: quality, elegance, comfort, security and great value for their money. 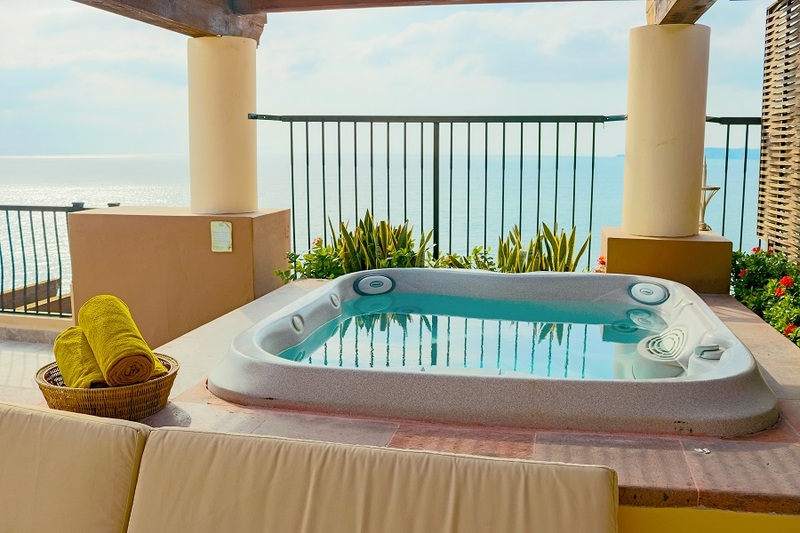 Timeshare at Villa del Palmar is available in top Mexico destinations such as Cancun, Puerto Vallarta, Cabo san Lucas, Riviera Nayarit, and the Islands of Loreto. Each of these Villa del Palmar locations were chosen by the Villa Group with care to ensure they were placed in promising tourist areas, close to well-kept beaches and positioned to allow almost all of the suites and timeshare units to have a sea view. The developers at the Villa Group have a great eye for location and positioning, and all members stand to benefit from this in very real ways because of its Villa Preferred Access scheme. The VPA, or Villa Preferred Access, scheme is something that all members of Villa Group operated resorts can opt to join and it allows them access to all timeshare at Villa del Palmar brands and resorts. 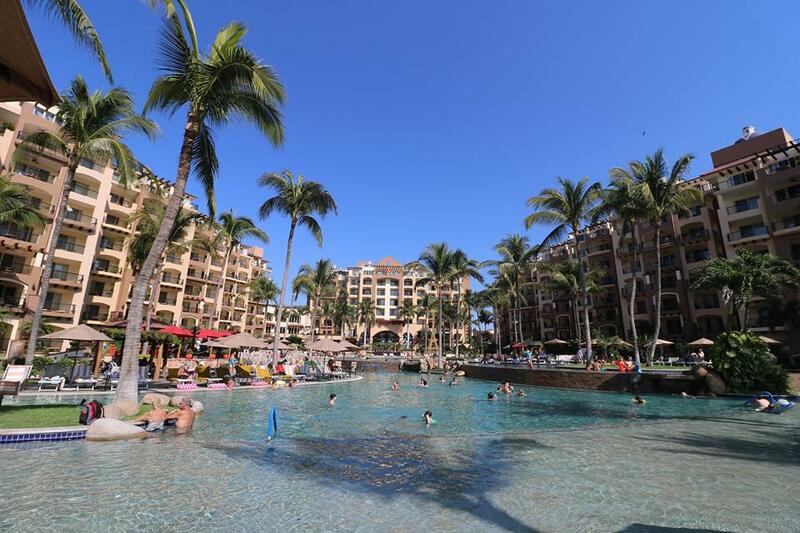 This means that you can swap your Villa del Palmar timeshare points for equivalent accommodation and time in another Villa Group Timeshare resort in Mexico. Or, if you’re a jetsetter with bigger aspirations, you can join Interval International. Interval International works in much the same way as the VPA scheme, but allows you to choose from a huge number of resorts worldwide.